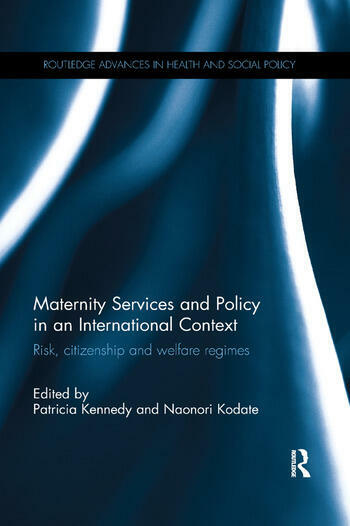 This book is the first comprehensive international overview of maternity services. 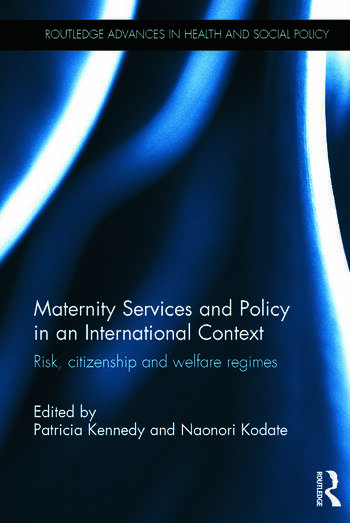 Drawing on concepts of risk and social citizenship, it explores the relationship between welfare regimes and health policy by comparing and contrasting provision for childbearing women. Each substantive chapter focuses on a different country, presenting detailed contextual information on health care provision, maternity interventions and birth outcomes there. They discuss key issues such as birth rates and fertility patterns, the role of patient choice, attitudes to place of birth and maternity entitlements among others, and the countries covered represent diverse welfare regimes, including Ireland, Scotland, Sweden, the Netherlands, Germany, Italy, Japan, the United States, Canada, Australia and New Zealand. An extended introduction and a conclusion draw the book together and place it in the context of the literature on comparative welfare regimes. It is an important reference for students and academics interested in comparative social policy, health services research, and maternity services and policies. Patricia Kennedy is a writer and researcher. She was a Senior Lecturer in Social Policy at the School of Applied Social Science, University College Dublin, Ireland, from 1995 until 2014. She has written extensively on motherhood and maternity policies in Ireland. Her areas of interest include: conceptual and theoretical approaches to social policy; health policy; consumers’ involvement in maternity policy; sexual and reproductive health; migration; comparative social policy; and evidence-based policy. Her books include: Welcoming the Stranger: Irish Migrant Welfare in Britain from 1957 (2015); Key Themes in Social Policy (2013); Motherhood in Ireland: Creation and Context (2004); and Maternity in Ireland: a Woman-centred Perspective (2002). She has co-edited several books, including: Ageing and Social Policy (2008); Theorizing Irish Social Policy (2004); Contemporary Irish Social Policy (2005, 1999); and Irish Social Policy in Context (1999). She has undertaken research and published on domestic violence, the maternity needs of refugee and asylum seekers, gender-based violence, women's health, the Irish Emigrant Chaplaincy Scheme and evidence-based policy. On an international level she is a founding member of the European Network for the Promotion of Sexual and Reproductive Health Rights of Refugees and Asylum Seekers EnHera organisation sponsored by the European Refugee Fund. She was the Irish partner in the Daphne-funded research project Frame of Reference in Prevention of Sexual and Gender-based Violence Against and Among Young Refugees, Asylum Seekers and Unaccompanied Minors in the European Reception and Asylum Sector. From 2000 to 2001 she represented the National Women’s Council of Ireland on the Kinder Review of Maternity Services and from 2001 to 2011 on the North East Health Services Executive Maternity Services Task Force which led to the development of Maternity Led Units and Maternity Liaison Committees in Ireland for the first time. Naonori Kodate is a Lecturer in Social Policy at the School of Applied Social Science, University College Dublin, Ireland. He holds a PhD in Political Science from the London School of Economics and Political Science. During his previous position as a Research Associate at King’s College London/the NIHR Patient Safety and Service Quality Research Centre, he published several papers (for example, in the Journal of Public Policy, BMJ Quality & Safety, International Journal of Nursing Studies) relating to patient safety and risk decision-making in various clinical settings. He was part of the research team evaluating the effectiveness of a simulation-based training programme for nursing staff in eldercare. He is also affiliated to the University of Tokyo and Hokkaido University. He has worked on projects funded by the Japanese Ministry of Health, Labour and Welfare, and the Japan Cancer Society. His main area of expertise is comparative social policy, in particular risk and safety regulation in health care.